Street food is still something of a novelty in American cities. For all their recent ubiquity in major urban areas, they are still the exception not the norm. It’s a bit different elsewhere in the world, especially in Asia where street food is often an integral part of the local cuisine (and the experience of consuming it). This is where you get to eat with the locals, like a local, sans all pretensions. That street food is also cheap and conveniently available is what makes it all the more popular among travelers. So from Bangkok to New Delhi to Paris, here’s a look at some of the best cities in the world to sample local cuisines without even leaving the road. 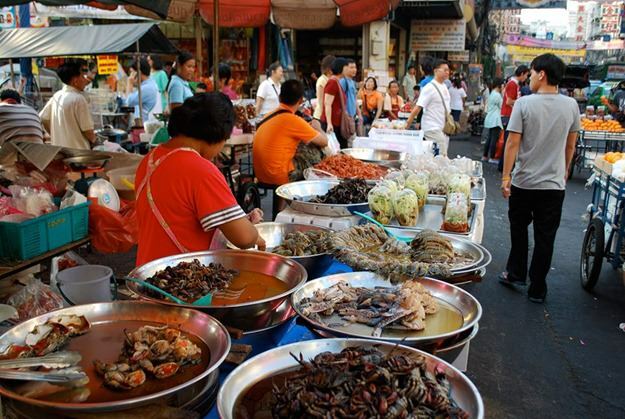 Thailand’s capital city gets millions of tourists each year, not a few of which come here for the food. Food in Bangkok is ridiculously cheap, street food even more so (a bowl of Tom Yum Goong soup: $1, fish cakes: $1.50). It is also ubiquitous throughout the city; you can barely find a street without a vendor selling some ridiculously tasty Thai delicacy. Mexican cuisine in America has been bastardized to the point that it is virtually unrecognizable from the authentic fare served across the border. Whatever atrocity Taco Bell and its ilk shell out in the name of “Mexican” food pales in comparison to what’s available in Mexico itself. 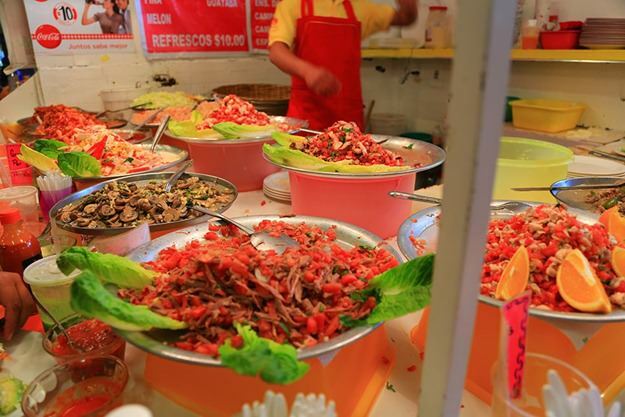 The best place to sample the mind bogglingly tastes and textures of Mexican cuisine, of course, is Mexico City, itself. Street food is ubiquitous in Mexico City, especially in its busy, cacophonous markets. This is where you can sample hard to find Mexican dishes such as pambazos along with traditional favorites like tamales and tacos, eaten traditionally, just like the locals. Malaysian cuisine bears influences from Thailand, China, India and Indonesia, thanks in no small part to its location as the central hub of trade and commerce throughout South Asia. Penang, located on the northwest coast of the Malaysian peninsula, is the culinary capital of Malaysia and one of the finest street food destinations in the world. It is also a ridiculously beautiful city that is still unmarred by heavy tourism. 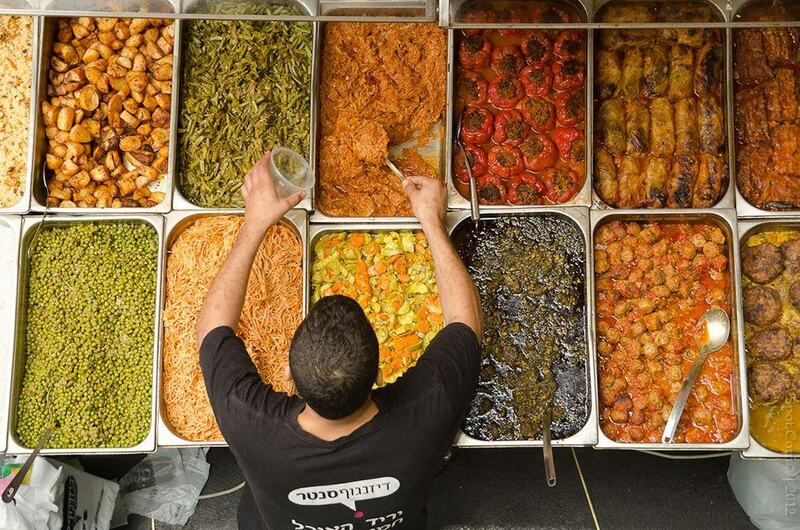 The street food stalls in Israel’s capital city count among the best in the world, serving quality local fare at astonishingly low prices in this otherwise expensive city. If falafel and hummus is your thing, this is the place you need to be. What to eat: Falafel, shawarma, schnitzel, boureka, sabich. Brussels does waffles so well that there’s literally a waffle named after the city (called “Brussels waffle”, of course). You can find food trucks selling this delicious doughy concoction topped with fruits, nuts, chocolate and Nutella all over the city. 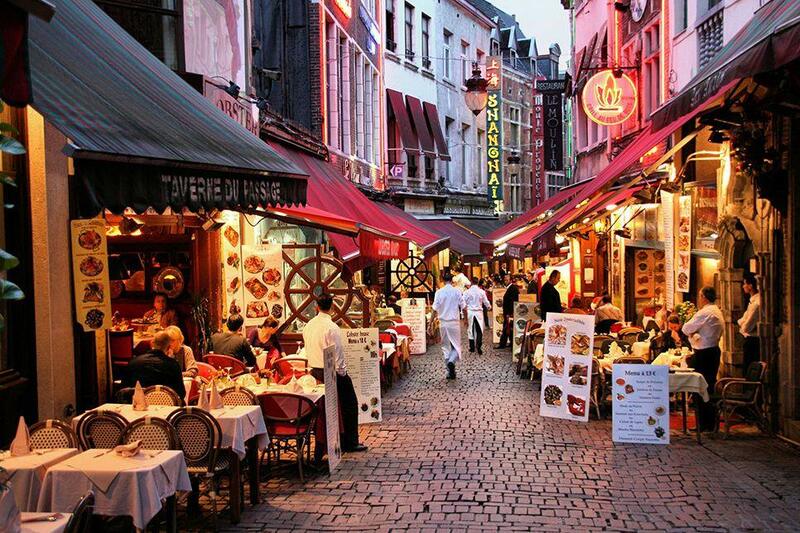 And if you ever get tired of waffles, there’s also some great local cuisine to be had, along with some famous Belgian chocolate and beer. Although it’s not as cheap as Bangkok or Penang, street food in Brussels is affordable enough, at least by European standards. Where to eat: Food trucks often change their locations (‘El Camion’, ‘The Petit Nuage’ and ‘Keep on Toasting’ are some local favorites), but you can usually find them around Place Van Meenen, Square du Vieux, etc. 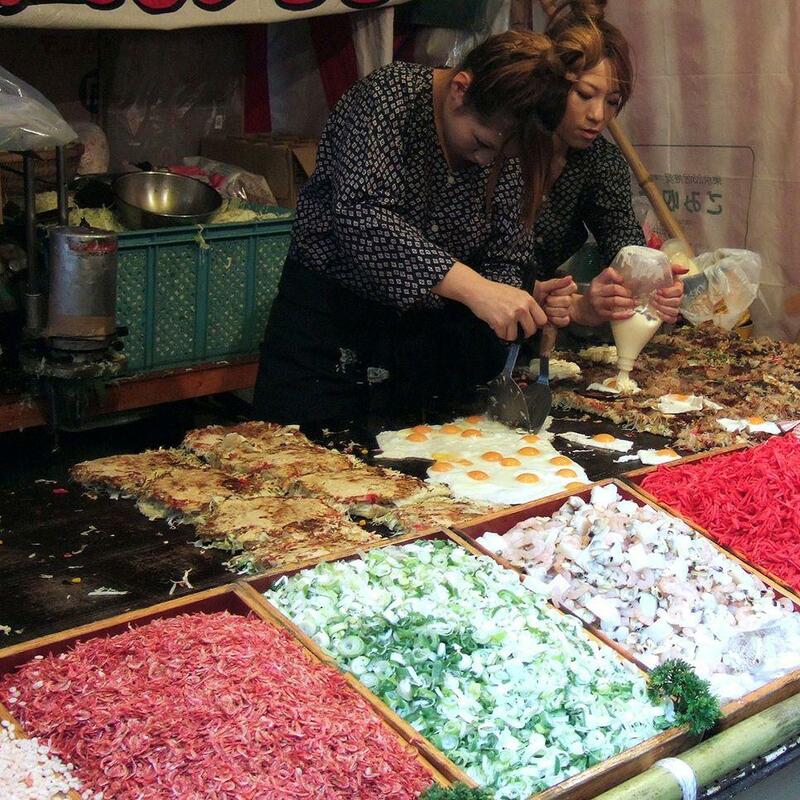 There are few places outside of Asia that boast a stronger street food culture than Taipei. It is the dining experience of choice for the city’s hundreds of thousands of office workers who prefer eating a piping bowl of pho or gua bao right off the street to cooking at home in cramped kitchens. 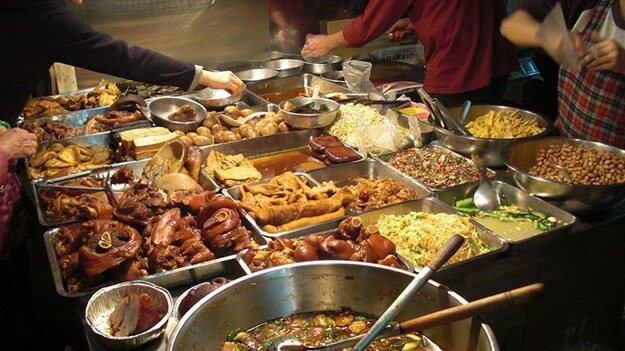 The result is an astonishing variety of cuisines often available for a fifth of the price at sit-down restaurants. Truly a heaven for foodies. What to eat: Oa misua, chou doufu, ba wan, oyster omelette. 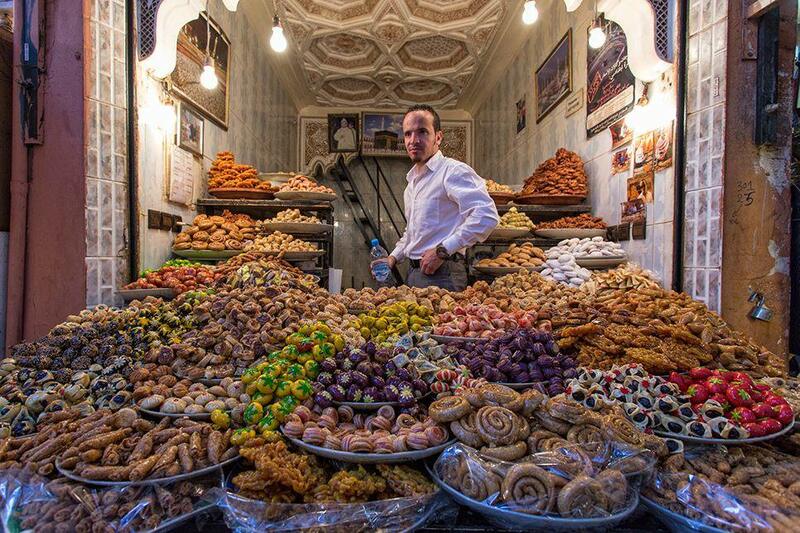 The street food in Marrakesh is less about convenience and more about history. Some of the markets in the city have been around for hundreds of years. The largest among them, Jemaa el-Fnaa, has a history dating back to nearly 900 years and is a UNESCO World Heritage site. 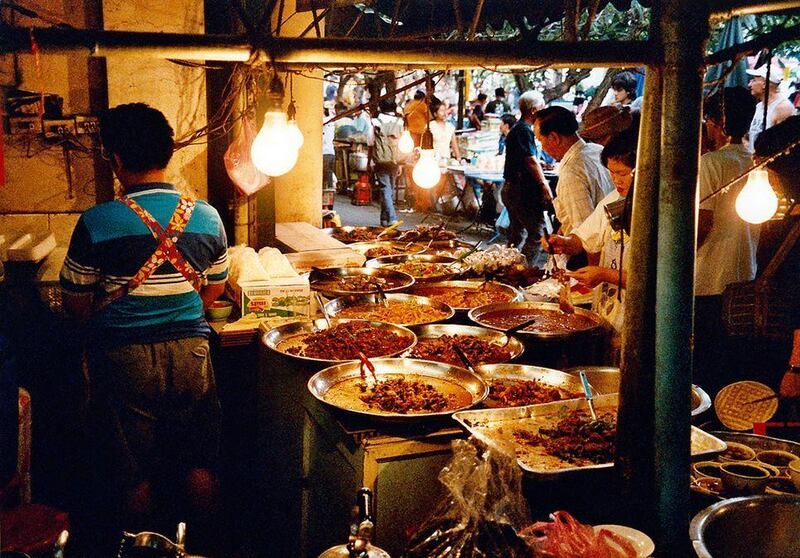 Locals have been socializing over food in these markets for centuries. Sharing a bow of tagine topped over fluffy couscous is less about the food and more about a way of life. That it also tastes as delicious as anything you’ve ever eaten, and is cheap enough to fit a $5/day budget, is what makes this Moroccan city one of the best street food destinations in the world. Where to eat: The Djemma el-Fna square night market. Singapore has been a melting pot of cultural influences for decades, all of which is reflected in the city’s street food scene. Granted, health and safety regulations have forced most food hawkers to move to more organized food courts, they still retain the street cart culture. This can also be seen in the variety of cuisine-types to be had in the city, from Indian curries and Malaysian stews to Chinese noodles and a mish-mash of Singaporean inventions. Where to eat: Maxwell food center, East Coast Lagoon food center, Old Airport Road food center. What to eat: Hokkien mee, chili crab, katong laksa, Hainanese chicken rice. Street food is ubiquitous in India and very, very different from the curries, biryanis and naans commonly found in Indian restaurants. The Indian street food staple, called ‘chaat’, usually includes a variety of savory dishes made from deep fried dough, potatoes, and spices. As the capital city, New Delhi is ground-zero for foodies. It is also the best place to experiment with street food. 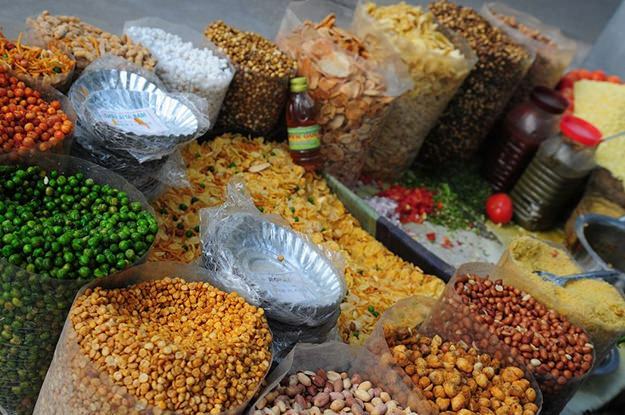 Though hygiene and food safety remains an issue, if you’re willing to brave it, a street food tour of New Delhi will be the highlight of your Indian experience. Where to eat: Chandni Chowk, provided you can brave the crowds. What to eat: Dahi-papdi chaat, gol-gappa, raj-kachori, kulfi-faluda. 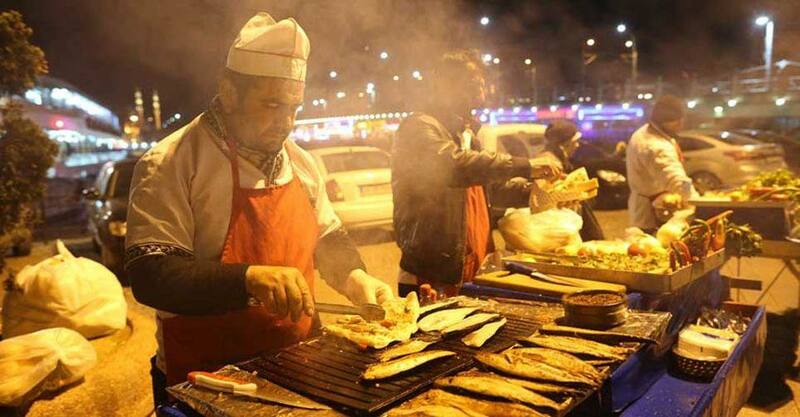 Berlin isn’t the first place you think of when you think of “street food”. That’s understandable; for years, street food in Berlin used to be all about bratwursts and pretzels (usually after a night of tipping back glass after glass of German beer). Not anymore. A number of food trucks and casual dining spots (called ‘schnellimbiss’ locally) have launched in the last few years to satiate the city’s increasingly multicultural palate. 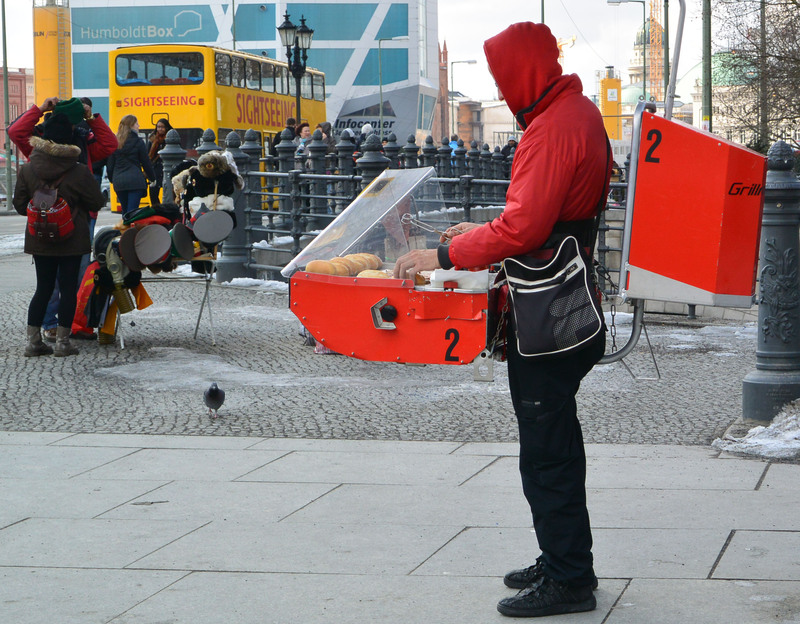 You can find everything from traditional pretzels to doner kebabs for sale all over the city, usually for a fraction of restaurant prices. If that doesn’t excite you, you can always turn back to the humble currywurst! Where to eat: “Grillwalkers” (mobile food sellers with a grill strapped to their front) in major city squares, boho Kreuzberg neighborhood. What to eat: bratwursts in all shapes, sizes and interpretations; berliner, brezel, fischbrotchen, doner kebab, eiscreme. Since we touched upon eating doner kebabs in Berlin, we have to include the city that gave birth to this delicious meat sandwich: Istanbul. 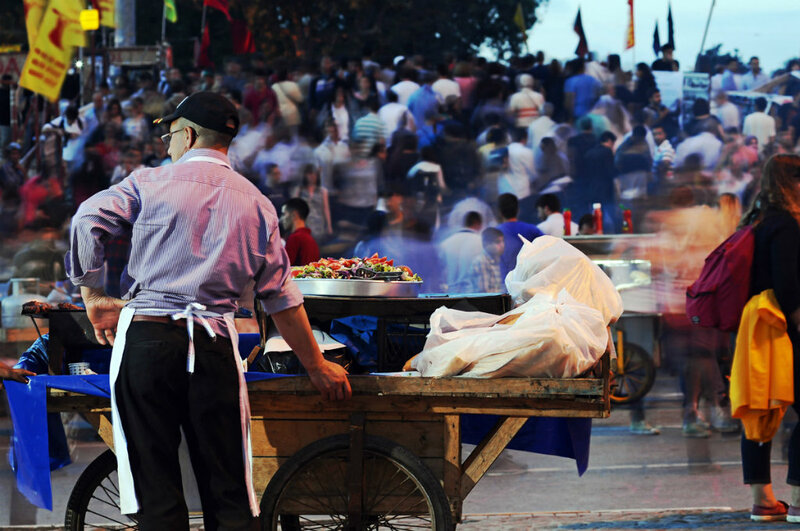 Istanbul is one of the best cities in the world if you like your food cheap, quick, ridiculously delicious and fresh off a hawker cart. 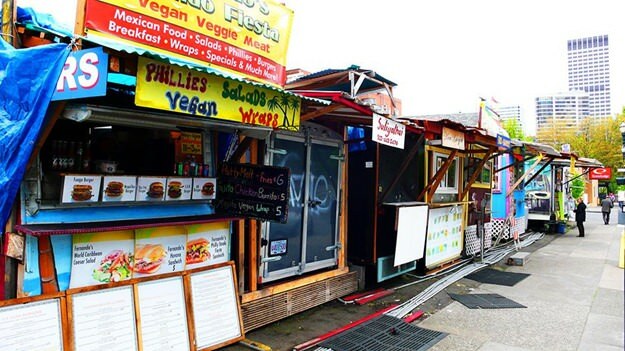 There are food carts nearly everywhere, especially around crowded inner-city market areas. There’s Istanbul’s famous doner kebab, of course, but there are also varieties of pastries, breads and beverages. Where to eat: Anywhere around busy markets in the city. What to eat: Simit, lahmacun, durum, borek, doner kebab. Japanese food is ridiculously delicious, so it shouldn’t be a surprise to see Tokyo on this list. While Tokyo lacks the large, dedicated street food markets a la Singapore and Bangkok, what it does offer is of the highest quality. There are the usual suspects (ramen, sushi, sashimi), and there is also a wide variety of experimental fusion dishes such as crepes and korokke, as well as ocean-fresh seafood. Where to eat: Tsukiji market, Memory Lane in Shinjuku, Ramen street in Chiyodo. What to eat: Takoyaki, korokke, ramen, miso soup, yakitori, yumcha. As America’s hippest city, it should come as a surprise to learn that Portland also has the best food truck scene in the country. More than 400 food trucks ply the city’s streets, serving everything from classic American dishes to experimental fusion foods and exotic fare from Indonesia, Japan and even Scotland. Next: Read about 34 of the world’s favorite dishes you need to try at least once.